Those wishing to discuss and post notes on hang glider inventions may send such to the email at top of this page. Great! We are continuing to organize and freely share the history of hang glider inventions. Each topic is up for further examination and discussion by anyone. Hang gliders for hang gliding for any scale or purpose are invented locally or globally over time. We study the invention space of hang gliders whether or not the hang gliding involves payloads that are living or non living. Tiny hang gliders and really huge hang gliders are studied. What inventions have appeared in the course of aviation for hang gliders? Not all inventions are covered by patents, but patents may well reveal inventions that were placed in the public domain. We study and discuss both kite hang gliders and non-kite hang gliders. We see that a dead or off power source carried may very well show the extant system as a hang glider. Hang gliders may be put to very many purposes. Invention of new purpose is a valid invention. E.g., just the following statement might be the first time ever for the following purpose to be published: Have a hang glider specially designed to well fulfill the purpose of charging batteries by using RATs. If such dedicated purpose had been shared before, then this instance of publishing would not be global invention. Parts of hang gliders have been invented. Different hang gliders have been invented. Invention flows in two main categories: 1. mechanical-function-method; and 2. ornamental appearance (the exact visual lines, even if the visual lines cannot function as a flying machine of much use; function is not required of appearance inventions; mechanical integrity for flying purposes is not part of the ornamental-design deal. If a patent starts a post, then replies are to be discussing that patent and its claims. If an invention is in public domain, we search and discuss the roots, perhaps fuzzy, of the invention. 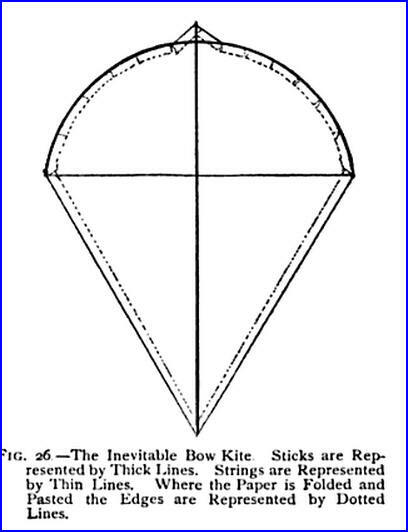 E.g., the foot-launched simple hang glider with battens in the sail using the A-frame or cable-stayed triangle control frame (two-queen posts based with a basebar was, at least by 1908, in the public domain; such a simple hang glider device for control is still used much today. And in the new folder, we are open to continue the posting of notes, images, etc. on Hang Glider Inventions. Thank you, All ,for your participation in the experimental forum space. We now may develop the focus in the news space. This is the final message in the old space. M33: Hang glider Hangegleiter DE 3516998 A1 Filed: May 10, 1985 This is up for detail discussion by anyone. who wish to represent aviation history with integrity and appropriate scrutiny. will find a way to well balance historical remarks. Ever watch a rolling snowball grow as it rolled? Two wrongs let a third and a tenth come easier and easier. GH can roll the momentum for further and further feathers. We have been witness to how an aviation error can fly while adding feather after feather! The 11th and the 20th will get easier for GH to roll into the pool! The tilt gets sillier as the GH rolls. I wonder what Hargrave would say to the matter? M29: Who came up with the flexible wing kite glider???? See the left leading edge and right leading edge. See the keel. See the crossbar or spreader. See the flexible sail. Above is a clip in a book in 1896 by author Daniel C. Beard. The World Hang Gliding Association has awarded Gustave Whitehead, Tony Prentice, John Worth, Charles Richards, Barry Hill Palmer, Thomas H. Purcell, Jr., and James Hobson, Mike Burns, John Dickenson, Richard Miller, Bill Bennett, Bill Moyes, Dave Kilbourne, Richard Eipper, and Peter Brock, a combination Flex-Wing Hang Glider Gold Air Award for their showing simplicities in hang gliders using the four-boom flex-wing radiating out of standard kiting and gliding extant public-domain arts or the Rogallo-NASA-Ryan-Paresev environment using public-domain arts extant since the first decade of 1910. The Gustave Whitehead teachings that were inspired from the works of others like Otto Lilienthal, Percy Pilcher, Wenham, and others and the most simple hang glider in Breslau of 1908 that had the simple cable-stayed A-frame we use commonly today, combined with the works of these hang glider men of the Flex-Wing Hang Glider Gold Air Award, firms the impossibility of anyone fairly claiming global mechanical "invention" of the basic core hang glider that saturated the 1960s until even prior arts in flying wings saturated designs post 1974. The Gold Award by WHGA is open for the entrance of other men or women to the special award as data justifies; please send in flex-wing hang glider historical data to the FlexWingHangGliderGoldAirAward@WorldHangGlidingAssociation.org for processing and possible adding people to the award. The public-domain art extant in 1961 was super simple to copy and make into one's own tinkered wing; the ancients could have had the flex-wing four-boom hang glider thousands of years ago for successful flight as did the men of the this WHGA Flex-Wing Hang Glider Gold Air Award. One can trace the mechanics of Hobson's or Eipper's four-boom flex-wing hang glider right into the first decade of 1900s. The minor tweaks of ornamental appearance for tweaked site and use missions remain part of the story of the flex-wing hang glider. 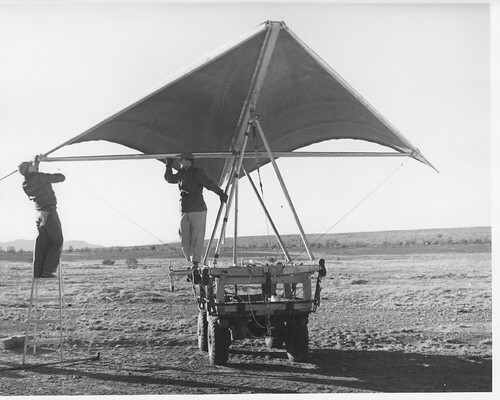 Oct. 27, 1961, Thomas H. Purcell, Jr. took his first flight in his kite-glider. He would go on to sell his plans in Popular Mechanics in 1962 f and also in Experimental Aircraft Association's magazine Sport Aviation. Sorry, GH, not even the first of "modern" hang gliders. Way off. Your hug to JD is so tight that you seem not to be able to take in anything but your untenable thesis. Boy smashes glass bottle and runs away; an org looks at the broken glass and declares: there is broken glass and publishes such; others look at the published statement about the broken glass and derives statements: "broken glass is there." Seeding boy says, "Don't blame me, I had nothing to do with that third-party statement." GH, the record is there; you broke the glass and now have a habit of running away from the matter. Consider taking responsibility; become a hero and use your powers to 'fess up to the orgs, support the counterexamples, and just let the raw good story of JD fly. With your pointed leadership and a hoped-for enlightened JD, perhaps a strong wave of correction can be made. FAI-CIVL may even lose its entire life, if it does not see through what you have brought to test the FAI; FAI hiding its head on the matter will be a sad story. But FAI could become better and stronger if it faces the challenge your actions have initiated. Will you form a new initiative, a new campaign, to bring on a better FAI and hang gliding history sector in orgs in our community? Hope so. The root source of the untrue slide statement in the video was from the results of your bully tactics in Australia. The slide will be changed by the publisher soon. Cost: About five persons and some 10 man hours. But the damage will cost others even more time. Community costs of poor journalism is high. And in your note above, you continue to state an untenable. The tinkered ski kite glider of JD simply was not the first of modern hang gliders; you continue such false statements in your tunnel vision. The seed of the hang gliders of today does not rest in JD (he was part of a flow that had already been seeded); and not one of your over ten untenable claims for JD hold?each is a false claim. The cost to correct your seeded false statements is tremendous; your campaign tired HGFA and your campaign seeded the result of awards that hold untenable historical statements. You seem to refuse to incorporate historical facts while trying to melt your untenables into an avalanche of facts in hopes that such non-sequitors and association will "win" the applause of the untenables. Well, you do win the infamy of hoaxer regarding the untenable claims for your fav JD. He was certainly not the first in the modern renaissance of hang gliding to use well the Rogallo-NASA-Ryan-USArmy-Marine-inspired four boomer with A-frame; others showed the full tech before JD started his tinkering. All the tech and show was in public domain, shown internationally and even foot-launched before JD started. Those earlier were seeds in the visions and minds of thousands. JD did his project and became part of the later good flow; there is no problem with that good flow. The problem is the set of untenables that you bullied into HGFA and subsequent resultants of FAI, USHPA, and a French low-scruity flow. You do not well utilize professional-level invention logic. You do not put into timelines the facts that counter your untenables. JD has become partners with you on the awful flat face to hang gliding that has resulted from your bullied set of untenables that will wreak havoc on the creative face of hang gliding history for a very long time until a groundswell from the ranks counters you and boycotts FAI until real leadership occurs in FAI for historical accuracy; until then your awful untenable seed set has won infamy for you and JD; enjoy the minutes of infamy while you can, as the final legacy ? hopefully will be a robust showing of your record and the low scrutiny of org rubber stampers. Yes, the video student error came from the untenable seed you placed into our hang gliding community; such types of errors will be published many times over. If you care about the hang gliding community as a whole, please consider working with the HGFA and FAI-CIVL to correct matters. And consider correcting all your statements on the Internet that have counterexamples. Consider one-by-one retracting the ten or more untenables of your first article on JD; and then go from there and correct other false claims you made during your raw bully-push campaign. Keep facts that show a good story; and there is yet a good story for JD, but you have deeply muddied his story with your multitude of untenable interpretive claims for him. The cost that others are going through to bring out corrections is considerable; there is a good side to the effort, though, as simply more hang gliding history gets exposed. Now is the time to get even more history out solid: "tear down that Wall" and become a corrector, GH. The full robust story of what led to the boon in hang gliding in the 60s and 70s of former century will be a play of thousands of actors. Following some of the actors gives just PART of the robust story; the full story is HUGE and worth the effort to many to fly through it. The one-person sticky bias will surely miss the FULL story terribly. Because of GH's tunnel vision and love for one JD combined with his YELL and BULLY tactics, the Internet is stressed by ever having to counter the one-person JD set of tilted and oft deeply inaccurate statements. When the yell and push is so loud and forceful, where is there space to enjoy the rich full story? And when the single-person push headlines a deep-core creative aspect in an untenable capsule that gets picked up and morphed over and over again, the task of seeing the robust fuller story gets challenging. Having to counter false statements brings fruit of clarity and will forever be part of the history of getting the story out. Those who invest to correct are part of the blessing. It is hoped that many will continue to unfold the full hang gliding history while also correcting matters that will surely rise to be challenging. By the tension that has been brought by GH efforts, we both know more about one guy in our community than we would have; but we also have a pile of untenables that gain a life of their own that pull time and effort to correct. The one-person-sticky loud bias source has its credibility challenges. Differently, anyone missing the over ten large flows that brought on the boon or renaissance will short herself or himself of a great time and adventure. ============The study was for four masses of payload, one of which was with a payload of 250 lb, others were heavier. In the document they pointed to full understanding of man-carrying and took direct effort to bring the experiments up to the safety level required for man-carrying. Nationally televised. And internationally shown via EAA in Sport Aviation. Foot-launched. Shared. Nine years later seeded the Self-Soar Association office. Fat year before JD tinkered! Some, incomplete list of those using the public-domain arts: ? some were even foot launchers! Thomas Purcell in his first Flightsail towing over land and water. AND ONLY LATER: Mike Burns. And then later still Dickenson for towing over water in ski kites. All in that short priority list except Prentice were Rogallo-NASA-Ryan-inspired projects. Hobson had the A-frame like earlier John Worth and others earlier like in 1908. Unfortunately GH forty-plus or so years later would push a false "inventor" claim and at least ten other false claims for the Dickenson project. But notice that in first decade of 1900s Gustave Whitehead taught hung pilot in seat behind downtubes and basebar in battened flex-wing hang glider! And in Breslau a very simple battened hang glider, the very cable-stayed A-frame control system we use today. GH, for the sake of a rich face for hang gliding and not a flat untenable face, please tear down that phony "inventor" wall and wash off the untenable claims! The unexamined provisional application and the over-generous historical fumble of FMR that you use to unfairly promote untenables do not bring validity to the untenable title you have foisted on JD for our hang gliding community. Sooner than later get on a helpful path for change; and help clean up the mess you made in FAI, HGFA, and USHPA, and our hang gliding history community. You can fly, yes you can?on this rework? without the hoax; help clean up the legacy before JD takes the Next Thermal; now is a good time just before the coming memorial for Hobson on Otto Lilienthal's birthday; good time to make an interior change and decision to get things sans the phony hoax. Even if you make the change, GH, it will take considerable effort and years to clear the historical airs. Infamy is probably less satisfying than merited honor; there is yet opportunity to merit hang glider history honor for yourself in a correcting of the JD "legacy" that has been tilted by you and presumably accepted by JD. M20: EP0481843 (B1) - Control device for a gliding wing. M17: Hang glider EP1151918 B1 by Gesuino PETRETTO of Italy. Filed May 5, 2000. Others are welcome. Perhaps aim to get close to the patentee's intention for selecting linked photos. Discussion start: The payload hanging from the lifting wing intends persons, water hull, motor, and hydro propeller. When the machine is airborne some hung-mass gliding occurs. Aerodynamic adjustments are envisioned by the inventor. The teaching Mr. Gilbert was open to many sorts of wings, not limited to the drawings, which depict some low-mass flexible-sail with ability to change camber of the formed airfoil in flight. M9: The A-frame in hang gliders? One evolute of the A-frame in hang gliders was running gear and landing gear and takeoff gear for the early powered aircraft; and yet the A-frame for such purpose may be one of the most ubiquitous assemblies in aircraft. One of the early fully simple hang gliders of battened flexible wing was in 1908 in Breslau in a gliding club; it has pilot hung from keel behind the apexing A-frame triangle control frame with two downtubes (queenposts) and a control basebar; we still use such in many hang gliders today. Include the infinite-zenithal A-frame or U frame. Include the opening A-frame or strut-braced. Include the empty top and empty bottom A-frame, that is, just the two downtubes. Illustrate. M8: Spars in hang glider? M7 Splints in hang gliders? M6: Drop-stitch fabric in hang gliders? M5: Discuss circle wings in hang gliders. Teasing discussion: Discuss circle wings in hang gliders. M4: Some tools are being built to serve this group. Inputs by anyone for the individual tools are welcome. KitePatents, our folder project which we combine with the open, free, discussion group on kite patents. HangGliderInventions, a study-discussion group that includes patents as a fitting topic for posts. M3: Flight Path Control System For Aircraft US20120248258 by Benjamin A. Harber Filed: Mar 31, 2011. This is an application for a patent. What is novel in the claims, as weight-shift-control using platforms has been done in many ways? Welcome to a place where inventions in the hang glider space may be studied and discussed. Hang gliders for hang gliding for any scale or purpose are invented locally or globally over time. We study the invention space of hang gliders whether or not the hang gliding involves payloads that are living or non living. Tiny hang gliders and really huge hang gliders are studied. We cover commercial hang gliders, industrial hang gliders, toy hang gliders, art hang gliders, planetary hang gliders, earth-sport hang gliders, Moon-City hang gliders, Space Colony hang gliders, etc. What inventions have appeared in the course of aviation for hang gliders? Not all inventions are covered by patents, but patents may well reveal inventions that were placed in the public domain along with, perhaps, some novelty claim or novel advancement, or just different part, etc. We study and discuss both kite hang gliders and non-kite hang gliders. We see that a dead or off power source carried may very well show the extant system as a hang glider. Control matters; the whole spectrum of control methods and involved control mechanicals are game. All-canopy hang gliders (from L/D of just barely positive) to high-L/D canopy hang gliders are in view here (paragliders to some; but "paraglider" actually is another name for kite hang gliders with any degree of stiffening in the wings of the wing set. Kite hang gliders are true kite systems and so the study of kite systems is a high resource for the free-flight kite systems that are then kite hang gliders. Inventions in kite systems will have their matching free-flight kite system in the hang glider realm. Hang gliders and inventions on them form a subject space that goes beyond narrow definitions of some users of hang gliders; e.g., the artificial corporation FAI seems ever to be forming and changing their definition of hang glider for its specifics reasons that are much more narrow than the mechanical raw hang glider invention space. Sport may occur in the use of huge commercial hang gliders; sport is not owned by this or that artificial corporation.